Drop-by the Colony Bar on Main Street (2904 Main St ) to meet other Dogwood supporters and sign a post card to the Premier. We’re telling John Horgan to stand firm against Kinder Morgan’s ultimatum and to keep planning new regulations against diluted bitumen spills in B.C..
Alberta and Ottawa insist the Kinder Morgan pipeline will be built, putting our climate, our water, and Reconciliation with First Nations at risk. Adding seven times as many tankers to our waters threatens marine ecosystems and B.C. workers in industries like fishing, tourism, film and television. This is not acceptable. Thankfully, our government has vowed to use every tool in our toolbox to protect B.C. and we need to show them that they have the support of voters and residents. They must not back down. 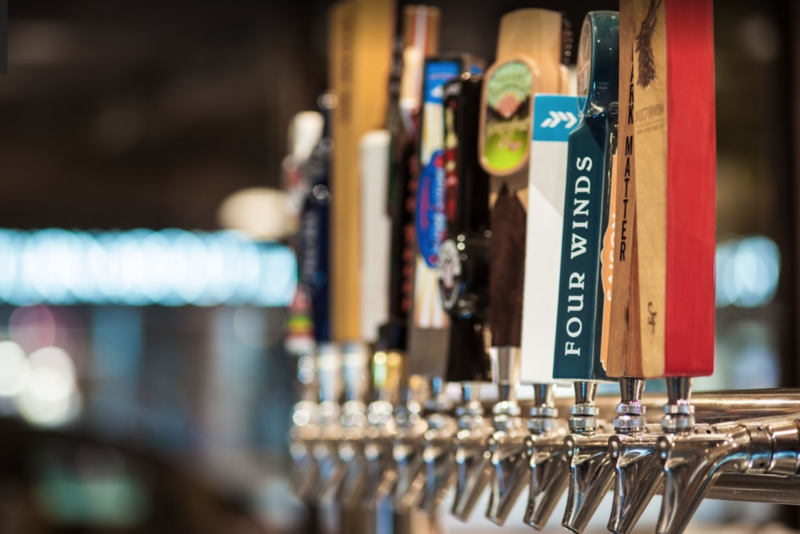 So come by the Colony Bar on Thursday afternoon for a juice, beer, or wine and make yourself heard! We’ll collect these cards across B.C. and bring to meetings with MLAs during May and June. Dogwood volunteers and staff will be on hand to answer questions and collect your feedback. Read more about Dogwood’s plan to protect B.C. from bitumen spills and new tankers and pipelines. 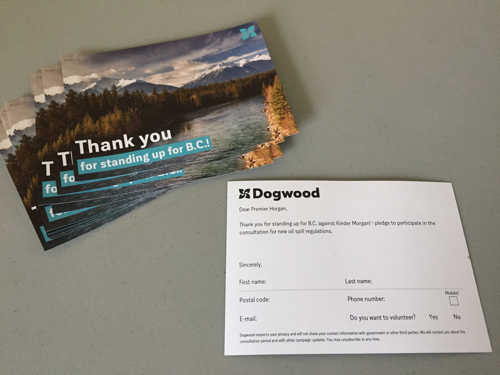 Our local Dogwood team has a plan to get local people “in the know” while collecting signed and personalized postcards for delivery to Premier Horgan and the NDP caucus. Please help the team make this event a success by spreading the word to friends and neighbours. The more the merrier! It just takes a few minutes to stop by Colony Bar on Main Street, fill out a card, and even sit at a computer with a volunteer to send your comment in right there. Stay for a drink, a bite, or just pop in to say hello and add your signature. RSVP here to get more information or just stop by anytime between 3:30 and 5:30 p.m. on Thursday, April 26.